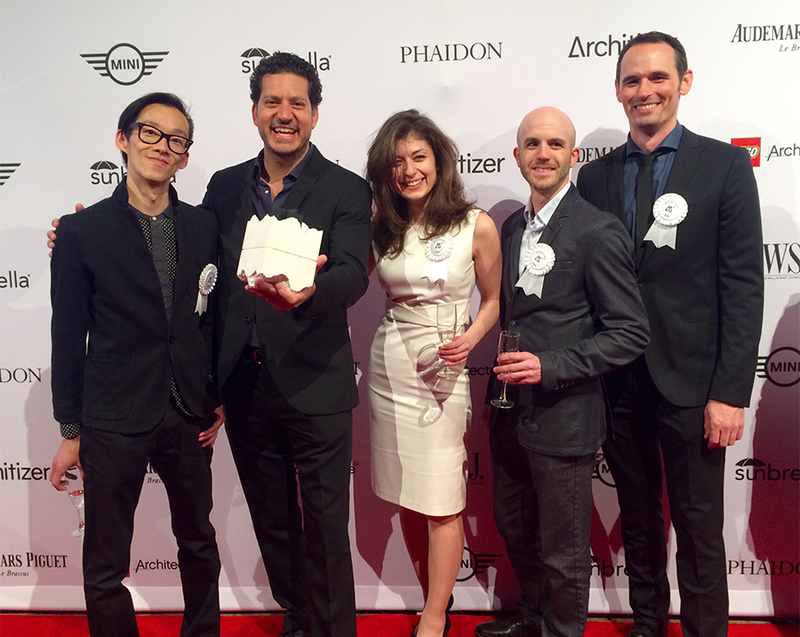 The architects for the new Centre hospitalier de l’Université de Montréal (CHUM) — CannonDesign + NEUF architect(e)s — were on the red carpet in New York City yesterday evening to receive an Architizer A+ Award alongside some of the leading architects from around the world. The CHUM took home the People’s Choice Award in the Unbuilt Hospitality category of the awards program. According to Architizer, more than 400,000 public votes were cast from more than 100 countries.